Samantha Chatman joined the NBC 5 Responds team in August 2016 after serving the people of Louisville, Kentucky and southern Indiana as the Business Reporter at WDRB News. Samantha has covered major company acquisitions, business openings and economic opportunities as well as major breaking news events. Samantha received her Bachelor of Science degree in Broadcast Journalism from the University of Illinois at Urbana-Champaign with a minor in African-American Studies. She also has a certification in Public Relations from the university’s College of Media and is a member of the National Association of Black Journalists. 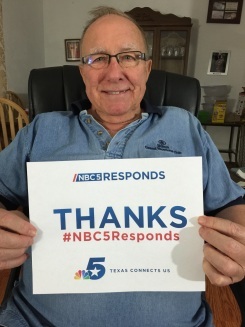 David Soltis is the award-winning photojournalist/editor for the NBC 5 Responds team. David is an NPPA award-winning photographer and was honored to be nominated for the 2015 Lone Star Emmy for Photographer - News. Before joining NBC DFW in April 2016, David worked in Houston, where he was picked to help launch KHOU-TV's consumer unit, "Watching Out for You." In 2015, several of his stories were awarded in the National Press Photographers Association's TV News Quarterly Clip Contest. David is a proud alumni of the University of Iowa Adler School of Journalism and Mass Communication.